Manazuru Peninsula was made by an undersea volcano eruption. 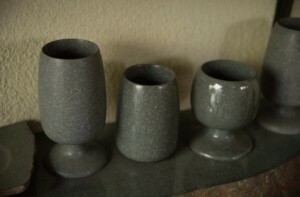 Manazuru Peninsula is known to produce high-quality andesite. Records remain showing that “Komatsuishi (Komatsu Stone)” quarried in Manazuru have been quarried since the Kamakura Period. The Manazuru Peninsula stone industry developed from the need for stone to build castles from the Warring States Period through to the Edo Period. Quarrying had been done over the entire Manzuru Peninsula. Ships were used to transport the stone to the surrounding areas. Currently, quarrying is not done in Iwa area. Here and there at the Banbaura Coast, you can see remains of quarrying during that time and can catch a glimpse of Manazuru’s history. In 1853 toward the end of the shogunate, the Black Ships from America arrived (Perry Expedition). 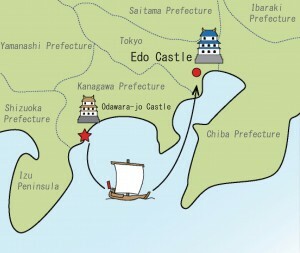 In the following year in 1854, the Black Ships arrived again at the Port of Yokohama. In the meantime, lookout for the next visitation of the Black Ships were carried out in turns (Mihariban) on the coast and therefore was called “Banbaura”. Manazuru is blessed with good quality stone and the location of the peninsula allows for easy transport. For this reason quarrying was engaged in since olden times. 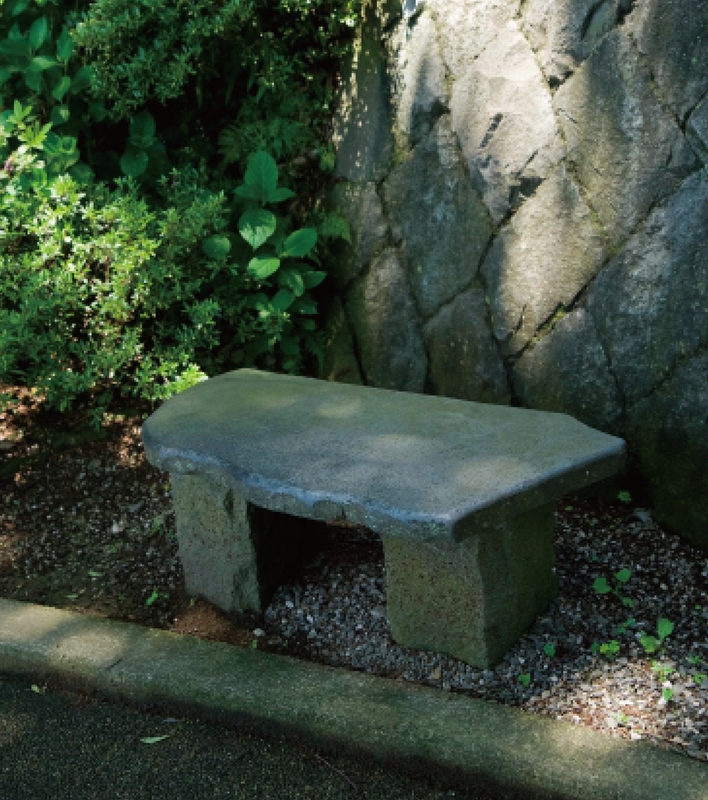 The stone from Manazuru were used for the tombstones of the Odawara Hojo clan, Buddha foundations stones of Kamakura Hase, the Odawara Castle, the Edo Castles and others. Within Komatuishi (Komatsu Stone), there is the hard and fine mesh “Hon-komatsuishi (Original Komatsu Stone) quarried in Iwa area, and the soft “Shin-komatusishi (New Komatsu Stone)” of the Manazuru area. 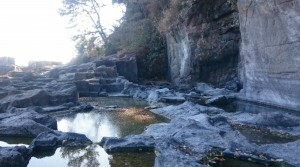 Currently, Hon-komatsuishi is quarried only in the mountain of Iwa areas. The unnatural flat rocks and lines of holes that can be seen on the coast are relics of the former quarry. The holes are called “Yaana”. The holes were made to cut out the stone. The flat areas are where the stone was cut out. When you walk along the coast on the promenade, you will notice that there are many Yaana and flat rocks. So much stone was cut out that it was said the shape of the peninsula changed after quarrying.